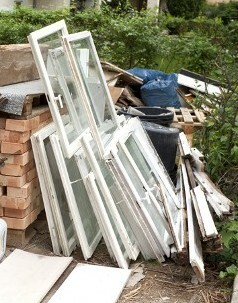 The junk on your property does nothing to enhance its curb appeal. We offer a way to stop your neighbors from giving you nasty looks when they walk by. Fast, affordable, and efficient, we provide full-service junk removal that rids you of the rubbish. Best of all, we’ll be at your place on the same day of your call. Why wait for the trash company? It takes them a week to provide service. 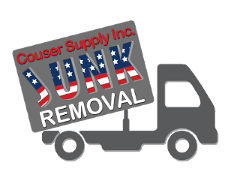 When you want to remove your junk now, we are the company to call. Because we are family-owned-and-operated, we strive to provide exceptional customer service that rises about the rest. Whether you are a residential or commercial, you can depend on us to handle all of your junk removal needs. It’s only junk! That’s why we don’t charge high prices to take your rubbish. Solve your junk problems quickly and affordably. In fact, we actually save you time and money by picking up your trash and hauling it away. Otherwise, you would have to rent a truck, spend time and energy loading your junk, and pay for gas as you transport it to the dump. Make things easier on yourself! As junk removal specialists, we do more than pick up your stuff and put it on our trucks. Instead, we go where you want us—in your attic, your basement, or your backyard. Wherever there is junk, we pick it up and haul it away. Contact us for same-day services when you can’t wait until next week for trash pickup. We proudly serve residential and commercial customers in Gaithersburg, Maryland.